The statistics for Pandora would have any radio station general manager salivating. The streaming music site has 200 million users and a 7% share of all music listeners in the U.S. No radio station in the states can generate numbers like that. Perhaps the closest would have been the hey day of WABC in New York, a radio station that covered more than 10 states at night with a unique sound and a number of superstar disc jockeys like Dan Ingram and the late George Michael (not the WHAM singer). So why would Pandora buy KXMZ-FM, a station covering Rapid City, South Dakota, a city with 42,000 Pandora users? As it turns out, by adding a traditional broadcasting operation to its mix, ASCAP, and the record labels will ask for lower songwriting licensing fees than the amount that Pandora had been paying. These are the same rules that allow iHeartRadio to get better terms, thanks to its start as a terrestrial broadcaster. With the purchase of KXMZ-FM, Pandora can now play any song from the ASCAP catalog, something it had been denied before. Meanwhile, Pandora has filed suit in a New York federal district court against ASCAP for discriminatory treatment against Pandora and other internet stations. 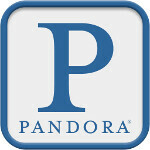 But Pandora now has its biggest battle that might go beyond fighting with the publishers. Yesterday Apple launched its iTunes Radio service that is free to users with revenue coming in from mobile ads.